The Alaska Center for Microgrid Technologies has launched a competition that offers financial and lab assistance for microgrid technology development. The grand prize winner will receive $275,000 to accelerate commercialization and improve operation and efficiency of a microgrid technology. This includes up to 25 days of R&D time at the Alaska Center for Electric Power to prove the technology’s feasibility for use worldwide. Five other projects will be offered R&D seed support, such as design reviews and consulting to accelerate their technology’s trajectory toward commercialization. Expressions of interest are due July 22. The center will accept formal applications from July 22 through August 26. Selection and testing of the top projects will begin on August 27 and winners will be notified by October 7. More details can be found on the ACEP site. Energy storage manufacturer Aquion Energy and SolarAfrica have installed an off-grid microgrid at the Kenya’s Loisaba Conservancy, a 56,000-acre hub for wildlife research and an ecotourism destination in East Africa. SouthAfrica funded, designed, installed, and integrated the microgrid, which has two independent systems, each with 106 kWh of Aquion batteries paired with a 37-kW solar array. The solar plus storage is replacing diesel generators to power a commercial laundry, swimming pool, kitchen, business services, lighting, cooling, and other facility loads. This is the first deployment of the Aquion Aqueous Hybrid Ion technology in Africa, which is now fully owned by the Conservancy. For SolarAfrica, the project has marked the second successful power purchase agreement for off-grid systems in Kenya, with its third situated in South Africa, operating as Singita Camp in the Kruger National Park. Two new studies by GTM Research and Navigant Research underscore that energy storage economics are not simple and that the value comes from a lot more than just back up power. GTM Research’s report, ‘The Economics of Commercial Energy Storage in the U.S,” finds that commercial energy storage economics are now attractive today in seven U.S. states, and that number is expected to grow to 19 states by 2021. U.S. commercial energy storage deployments grew 14 fold between 2013 and 2015, making it the fastest-expanding segment of the U.S. energy storage market, according to the report. The report models the internal rate of return (IRR) for 1-hour and 2-hour storage systems for both the small/medium-sized and large commercial customer segments. It found that demand-charge rates of at least $15 per kilowatt per month are necessary to achieve favorable economics for energy storage today. By 2021, commercial storage economics will be favorable for certain utility tariffs with demand charges as low as $11 per kilowatt per month. Large commercial customers in 17 U.S. states will have an internal rate of return of 5 percent or higher, which GTM Research identifies as “in the money.” For small/medium-sized systems, 14 states will be economically attractive. Taken together, there will be 19 unique states primed for commercial storage adoption in 2021. Under GTM Research’s aggressive cost reduction case, storage costs are forecasted to fall 15 percent annually over the next five years. In this scenario, there could be as many as 26 states where commercial storage is economically attractive. Meanwhile, Navigant’s report, “Residential Energy Storage,” found global annual deployments of residential energy storage likely to increase from 94.9 MW in 2016 to 3,773.3 MW in 2025. Leading countries are Australia, Germany, Japan, and the U.S., which are expected to account for more than 80 percent of the global market for residential energy storage in 2016. Momentum in the residential energy storage industry is growing rapidly as utilities begin to recognize the value residential energy storage systems (RESSs) can provide. 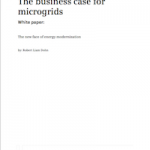 The growing popularity of these systems—driven by a growing residential solar PV industry, falling systems costs, rising electricity prices, and a push to improve resiliency—holds enormous potential to dramatically alter the electricity industry in terms of the grid’s physical structure, business models, and utility-customer relationships, according to Navigant. “While the economics of RESSs to save customers money only pencil out in certain markets, the involvement of utilities in this space opens significant new opportunities for market growth,” says Alex Eller, research analyst with Navigant Research. “Residential storage offers numerous benefits for utilities, perhaps most notably the ability to reduce congestion on the network and limit the need for new peak capacity resources. Pacific Gas and Electric (PG&E) is teaming up with GE, Enphase Energy and SolarCity to demonstrate the integration of multiple distributed energy resources onto the grid. GE will demonstrate a distributed energy resource management system (DERMS). Enphase Energy will install and test smart inverters. And SolarCity will install and test smart inverters and battery storage systems for private solar customers. The demonstrations will evaluate to what extent the DERMS technology enhances the stability and power quality of the grid and optimizes solar generation and power-flow management, as more customers adopt solar. To support DERMS, up to 150 residential customers and up to 20 commercial customers in San Jose will receive solar smart inverters and behind-the-meter battery storage systems. Expected to run from September 2016 through December 2017, the project will demonstrate how smart inverters and energy storage can be used with DERMS to optimize electric distribution. 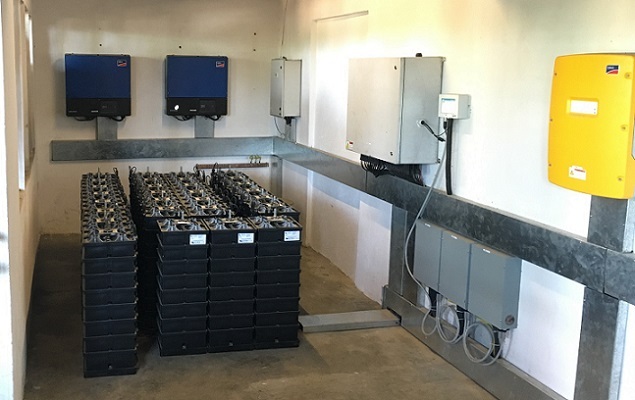 PG&E is in the final stages of vendor selection for deployment of battery storage systems for commercial installations. PG&E says that distributed energy resources play a central role in its vision for the Grid of Things – a plug and play distribution grid platform that facilitates emerging energy technologies to be interconnected with each other and integrated into the larger grid.